Payzone UK, a payment acceptance network company, needed a more nimble reporting solution than spreadsheets that were starting to “creak at the seams” with more frequent and complex tasks. PayZone UK’s financial management hit the ground running after implementing the Adaptive Insights Business Planning Cloud with a certified Adaptive Insights partner. The automation of monthly consolidations and rolling forecasts helped reduce the planning process by 40%. With detailed reporting within minutes, Payzone UK can now spend more time on analyzing data for trends and growth. Payzone UK operates a consumer payments acceptance network and supplies a range of terminals for small to medium sized businesses in the retail sector to accept credit and debit card payments. Our experience with Adaptive Insights has been outstanding. It’s hard to imagine how we managed beforehand. Cash in on a fast, flexible solution. Try Adaptive Insights free for 30 days. Payzone UK primarily used Microsoft Excel to manage financial planning and analysis. The finance team was comfortable with Excel, but consolidating numerous spreadsheets to create an overall budget became increasingly time-consuming, complex, and error-prone as the company grew. Manually inputting data and changing templates in spreadsheets became a major roadblock, and the finance team knew the company needed a more nimble solution. "Excel was great up to a point, but it began to creak at the seams as we grew and started creating more frequent and detailed financial reports and forecasts," said Lee Hawthorn, Management Accountant and Business Analyst at Payzone UK. "Producing and consolidating budgets was slow and error-prone, and complex reporting and scenario planning was nearly impossible." Payzone UK underwent a thorough analysis of several on-premise and cloud-based planning and reporting solutions before choosing the Adaptive Insights Business Planning Cloud. "Adaptive Insights stood out because it's cloud-based, and it's clearly designed with finance professionals—rather than software developers—in mind," said Hawthorn. "It provided the instant functionality we need to hit the ground running, as well as a familiar and easy-to-use user interface." Adaptive Insights' UK and Ireland partner Miagen helped Payzone seamlessly manage each phase of the migration to Adaptive Insights on schedule. The ease of the deployment also helped Payzone's finance department oversee the project with minimal involvement from the company's IT team, which was focused on other business-critical activities at the time. With Adaptive Insights, Payzone has cut down the time it takes to create and consolidate financial budgets, reducing the overall time it takes to complete the financial planning process by 40%. With that time-savings, the team can now spend more time on data analysis to help make more strategic, long-term business decisions. In the past, one of the main tasks for the finance team was preparing and consolidating monthly budgets. The company has since automated this process with rolling financial forecasts in Adaptive Insights, resulting in streamlined reporting and less data entry mistakes. The finance team's time is now freed up to focus on strategic activities. For example, scenario-based modeling in Adaptive Insights enables the team to quickly respond to demanding business initiatives and share expected results across all financial reports with almost no lag. As Payzone UK operates in the retail sector, its business is impacted by many factors such as the time of year. The finance team utilizes Adaptive Insights to plan ahead for these seasonal fluctuations in retail spend. 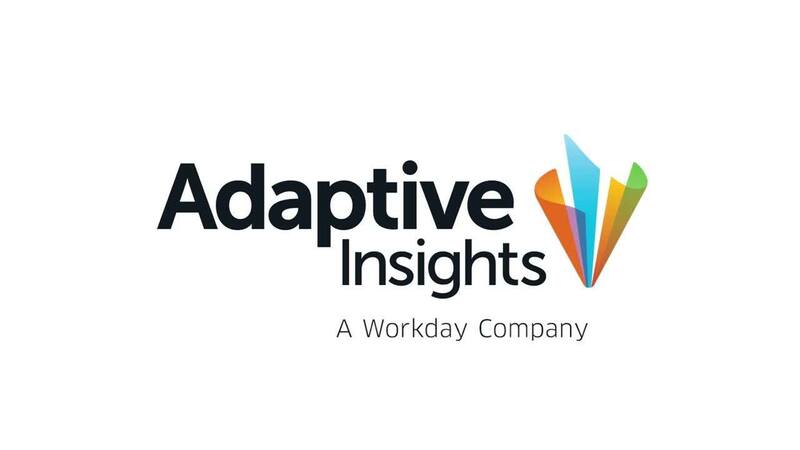 "Our experience with Adaptive Insights has been outstanding. It's hard to imagine how we managed beforehand," said Hawthorn. "Our day-to-day budget planning is now much more straightforward. More importantly, it has helped elevate the finance department's position within the business. While we used to be bogged down with mundane budget consolidations, we can now work in a more fluid way, providing stakeholders with a comprehensive service that is highly valued and critical to the future growth of the company." We can now work in a more fluid way, providing stakeholders with a comprehensive service that is highly valued and critical to the future growth of the company.